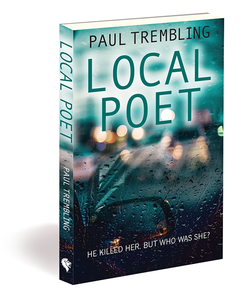 Welcome to the preview page for , 'Local Poet', published by Lion Hudson. I was never much of a reader before Laney Grey touched my life. Not even newspapers. I got what I needed in the way of information or entertainment from TV, or off the net. On holiday I might pick up a thriller to read on the beach, but if I didn't finish it in that week or so, I probably never would. And I certainly didn't read poetry. Not since school, anyway. My English teacher had made earnest attempts to open my young eyes to our rich literary heritage, but he was doomed to failure. On the back row of the classroom, poetry appreciation never progressed beyond dubious limericks. There's no reason to believe that anything would ever have been different, if Laney hadn't catalysed change. It wasn't as if I was discontented with my life. There were no inner yearnings for depth and meaning, no navel-gazing angst about some undefined need. The truth is that I was perfectly happy with things as they were. Then Laney stepped so briefly into my life, and so swiftly out of hers. I only really saw her for one fractional moment. A young woman, smooth dark skin and frizzed hair, stepping out from behind a parked car into the spray and driving rain from a sudden shower, and then another step out into the road before just stopping. She was looking at me, water running down her cheeks, but no surprise or shock in her face. There were just those dark eyes, meeting mine, and in my memory they were huge and deep and calm, though no picture ever showed that. No photo ever captured what I saw in that moment; what I still see when I think of her. I don't remember the actual impact, or anything that happened immediately after. I was told that my van was doing about forty when it hit her, and the impact flung her ten feet in the air. When she came down, her head struck first, on the asphalt. She had a cracked skull and a broken neck and a ruptured spleen and both lungs were pierced by broken ribs. She was already dead when I reached her and picked her up and held her. They say I was pleading with her, begging her to live, and trying to give her mouth-to-mouth. They say that my tears were mixing with the rain and her blood, soaking together into my t-shirt and her denims. But I can't remember any of that.